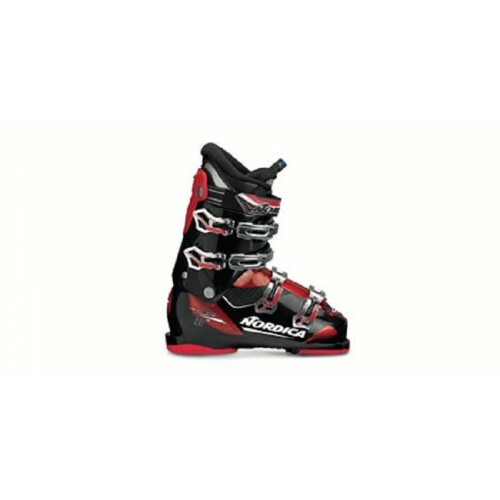 The Cruise is the optimal boot for skiers looking for a comfortable product that offers technology and features that will allow them to advance to the next level. This is the most generous fitting boot offered in the Nordica collection. It includes rental specific features such as bar code, rental liner and heat stamped size. A single canting mechanism enables our Cruise boots to accomodate larger feet requiring a stiffer flex. Our Adjustable Cuff Profile (ACP) allows for a neutral standing position for every leg size, making skiing all day easier and more comfortable no matter what the width of a skier’s leg. NFS creates an abducted boot stance that allows the skier to initiate and release turns easily and efficiently, making skiing easier and more fun for skiers of all levels.